The OCS is delighted to announce an exclusive guided viewing of The Dragon and the Eagle: American Traders in China, A Century of Trade from 1784 to 1900 with Dr. Libby Lai-Pik Chan, Assistant Director (Curatorial and Collections) at the Hong Kong Maritime Museum. 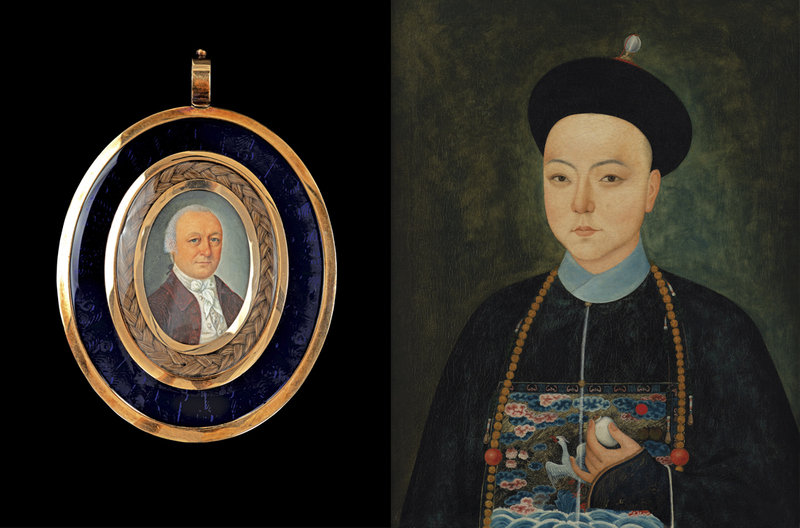 The exhibition tells the history of early Sino–American trade in the late eighteenth and nineteenth centuries. Showcasing valuable trade goods, export artefacts, nautical instruments, and archival materials, this exhibition presents the bilateral relations in maritime trade, commerce and business, marine and nautical technologies, and social and cultural developments. The exhibition presents works from the collections of the Hong Kong Maritime Museum, the Metropolitan Museum of Art, the Winterthur Museum, the Philadelphia Museum of Art, the Peabody Essex Museum, the Independence Seaport Museum, the Baker Library, Harvard Business School, The Kelton Foundation, the Swire HK Archive Service, the HSBC Archives, as well as local and US-based collectors. To learn more click here. John D. Wong, Assistant Professor in Hong Kong Studies, The University of Hong Kong will be presenting a lecture about the influential comprador Howqua, titled The making of a special relationship: Houqua and his American business partners in the early nineteenth century at 16:00. Participants of the guided viewing are warmly invited to stay for the lecture. To learn more click here. Dr. Chan is the Assistant Director (Curatorial and Collections) at the Hong Kong Maritime Museum where she oversees the museum’s curatorial practices, exhibition and collection development. Before joining HKMM, she was the Senior Curator (China) at the Asian Civilisations Museum, National Heritage Board of Singapore, overseeing the Chinese collection and leading the China gallery revamp project. Previously, she was the Research Associate and Curator at the Art Museum, Institute of Chinese Studies, and was the lecturer at the Department of Fine Arts, The Chinese University of Hong Kong. She was a J. S. Lee Memorial Curatorial Fellow at the Freer Gallery of Art and Arthur M. Sackler Gallery, Smithsonian Institution in Washington, D.C.. Her research interests include underwater archaeology in Asia, the history and heritage of the Maritime Silk Routes, Chinese decorative and export arts, cross-regional studies on East-West material cultures, and the maritime history of Hong Kong and Southern China. She has authored numerous catalogues and articles on Chinese art, maritime history, archaeology and museum studies.